CoopKnits Socks Yeah! 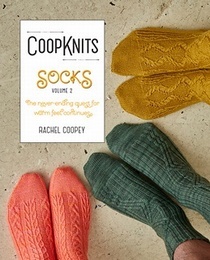 Volume One by Rachel Coopey<br> A brand new book of Rachel’s original sock designs using her fabulous sock yarn, Socks Yeah! 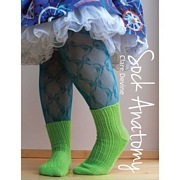 This book contains 12 patterns.<br> <br> Well-written instructions and step by-step tutorials for techniques such as Kitchener Stitch and Afterthought Heels.<br> <br> Rachel’s creative designs often incorporate a variety of skills, including cabling, grafting, lace and twisted stitches, providing a great opportunity to try out new techniques. 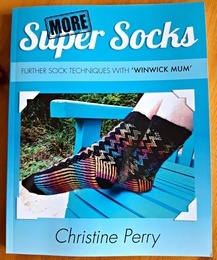 For beginners to sock knitting, a plain, topdown sock is also included.<br> <br> Each design is beautifully balanced and well thought out, giving both experienced and novice knitters the chance to create wonderful, wearable <br> socks that are enormously enjoyable to knit. 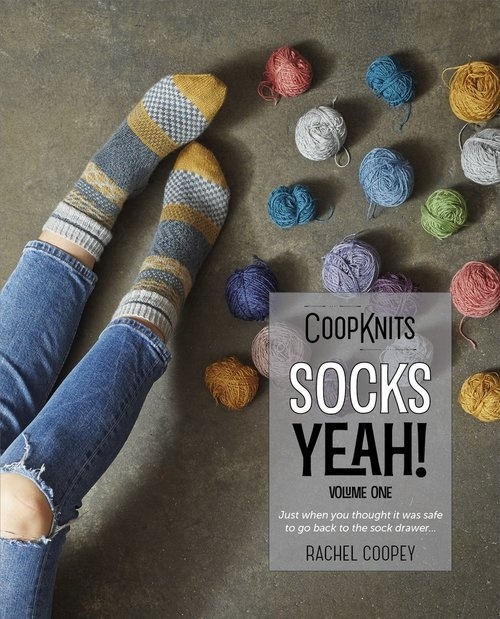 A brand new book of Rachel�s original sock designs using her fabulous sock yarn, Socks Yeah! This book contains 12 patterns. 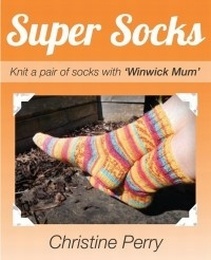 socks that are enormously enjoyable to knit.